Clean Slurry offers a number of oilfield solutions. We are most known for providing the best solids control people and equipment available. 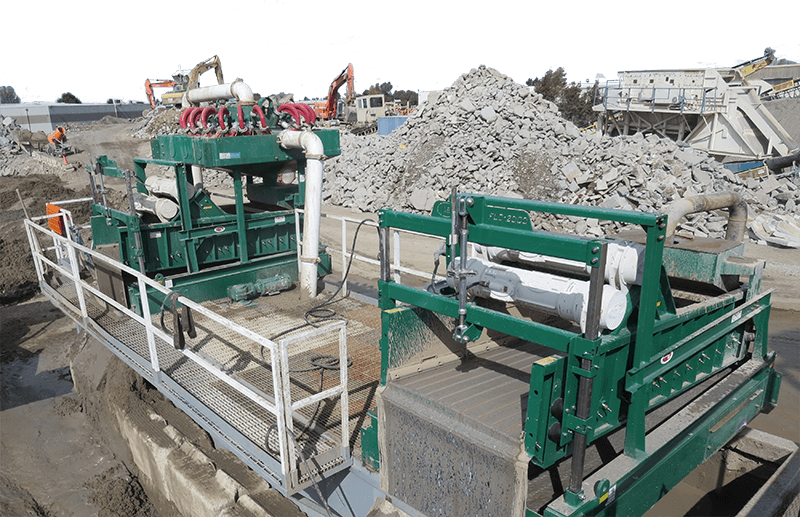 This combination of equipment and human expertise manifests on the rigs, where practical side-by-side shaker comparisons show ours processing as much as double the flow rate of the competition. Clean Slurry maintains a fleet of Derrick equipment and a thorough screen inventory to ensure our customers are ready for any formation they hit. Clean Slurry rents Derrick Equipment to customers nationwide and sells Derrick Equipment to Oil & Gas customers in California. Using our extensive solids control experience, Clean Slurry runs an oil based mud (OBM) processing plant in Midland, TX. Customers can purchase oil based mud from our on-hand inventory, or strike an OBM processing contract.